The Internet has 566 online gambling sites which accept Canadian players. Most of those sites are traditional online casinos, poker rooms, and sportsbooks. Some are online bingo parlors. A few of the big online gaming websites combine several forms of betting in one gaming portal. Only a handful are mobile casinos. In fact, only 24 licensed mobile casinos exist which accept play from IP addresses in Canada. About a half-dozen of those casinos are sister sites to brand name UK and European online casinos. While those mobile casinos are licensed out of Gibraltar or Malta, most of the others Canada-friendly mobile gaming sites are based in the Caribbean. Some of these operators are obscure. When you start to pare down the options, Canadians who want to gamble legally using their tablet computer are not going to have many legitimate options. Players need a website which is licensed by a legit regulatory agency. Gamblers need a site which is powered by state-of-the-art software, both to make the games fun and to assure your private information is secure. Betters need a site which offers useful and trustworthy payment methods, both for deposits and withdrawals. When all these factors are added up, only two or three mobile casinos might match up to your personal specifications. Lucky for you, mobile gaming is like falling in love: you only need one. This site is dedicated to helping Canadians find the one mobile casino which suits their gaming needs best. And if you don’t exactly fall in love with your choice, you should be able to maintain a memorable flirtation. Playing casino games on a tablet computer is different than online casino gambling, but not much different. Instead of a player going to an online casino, they log-on to the Internet and navigate to their preferred mobile casino. On the mobile casino, you’ll find downloadable software applications which allow your computer to play mobile casino games. The system works the way social gaming works: you download the app designed for your tablet computer’s operating system. Instead of downloading these mobile apps on iTunes, though, you do so at the mobile casino. From two to four different apps are offered on each site. Android OS and Apple iOS are universal downloads, found on most mobile casinos. Apps for the BlackBerry OS are less likely to be offered, though more established mobile casinos offer the applications. Windows Phone OS apps used to be offered, but they are becoming less common. Instead, alternative “Smartphone” downloads are offered sometimes, for devices that use either Symbian or Java operating systems. Most Canadians know the name of several Android smartphone companies: Rogers, Bell, Fido, and Telus. They might know some of the discounted brands: Virgin Mobile, Koodo, and Chatr. They know the famous American brands like AT&T, Sprint, T-Mobile, U.S. Cellular, and Verizon Wireless. They might even know of the Android smartphone brands, such as Nexus, HTC One, or Moto One. Many players might not be as familiar with mobile tablets, though. Tablet computers aren’t quite as prevalent as cellphones and smartphones. Just about everyone has a phone, but tablets are still seen as a bit of a luxury. Unless you’re an Android tablet user, you might be less familiar with brands which use the Android operating system, because Apple iPads are so popular. Even when someone owns a tablet computer running Android OS, they might not know that brand’s competitors. I suggest gamblers research Samsung, Asus, Lenovo, Hanspree, HP, and Acer. Lesser known tablet computer companies to study are Filla, EVGRA, MK2, Vivotab, and Fujitsu. Tablet computer companies are like car companies. Each of the leading companies have a number of models. For instance, Asus has two popular brands: the Asus Nexus and the Asus Transformer. One is a well-received inexpensive brand, while the other is a high-dollar product considered among the best in the industry. Even among tablet computer models, you’ll find various versions of the same model—once again, lie automobiles. So when you start to research the Samsung Galaxy, the Sony Xperia Tablet Z, the Google Nexus, the HP Slate, and the Acer Iconia, you’ll need to research several versions of each. The many tablet computer designs offer different features, whether it’s graphics, sounds, memory, or processor speed. Get a picture of the gaming experience you want, then match those wants to the capabilities of the tablet computers you find in stores. Many people consider iPad mobile casino gambling to be the ultimate experience. In any tech industry, you’ll find a community of people who believe Apple products rule supreme. IPad tablets remain the number one single tablet computer on the market, despite the higher price associated with the devices. Apple iPad devices come in two major models: the iPad Air and the iPad Mini. The iPad Air has two versions, while the iPad Mini has three versions. You’ll be able to gamble using any iPad, even the original version, but the best gaming experience will be offered by the iPad Air Generation 5 devices. Everything in-between is compatible with the IOS mobile downloads. Android and iPad are not the only options. BlackBerry makes tablet computers. People can gamble online using tablets which run Java and Symbian operating systems. Windows Phone OS is still used by a few devices, though the applications to interface with such devices are getting rarer. As you can see, mobile gaming has a lot options, but also a lot of decisions to be made. Players assume a certain responsibility to inform themselves. That’s why a site like ours exists: to inform beginners. Is Tablet Computer Gambling Safe? Certain basic questions must be answered. People new to online and mobile gambling naturally wonder if mobile casinos are safe. That’s a complicated subject. Some casinos are safe, while others are not. Determining the difference in the two isn’t hard, but you need good information to make rational decisions. For those new to the business altogether, I recommend using brand names you can research easily. Do not take chances on lesser known companies which offer little useful information. Learn the parent company’s location, its licensing information, and the software provider which supports their gaming. These should be visible on the homepage of the website, with little searching from you. Licensing information shows you which governmental authority regulates the site. One license provider Canadian players should be familiar with is the Kahnawake Gaming Commission, which is located across the St. Lawrence River from Montreal, Quebec. Other common licensing authorities are Malta, Gibraltar, the Isle of Man, Antigua and Barbuda, and the Netherlands Antilles. 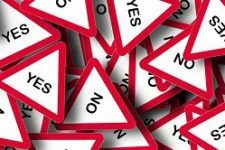 While reading through this website, you’ll read more than once about most of these licensing authorities. You’ll read a lot about gambling software developers, too. Software providers are a good way to determine whether a website is legitimate. Some mobile casinos design their own proprietary software, but most license their software from one of the top companies. Using cutting edge technology is important, because of the dangers posed by identity thieves and hackers. Microgaming is a top developer. It powers dozens of mobile casinos and over 250 online casinos, while organizing the eCOGRA watchdog network, which helps self-regulate the online gaming industry. Other top providers include IGT Interactive, NetEnt, Playtech, Betsoft, Odobo, Play’n GO, Realistic Games, Spin3, Evolution Gaming, Inspired Gaming Group, Mobenga, Probability, iGaming2go, MultiSlot, and NextGen are just a few of the legitimate companies you’ll encounter. Online casino gamblers will notice some companies they know from the traditional computer gaming industry, while a number of legit startup companies service mobile gaming platforms only. If all of these brand names are a little bit overwhelming, don’t worry. 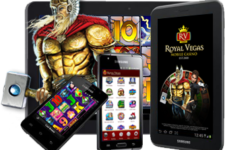 You’ll play one mobile casino at a time and build your knowledge from there. The key, then, is to make a wise decision on the first mobile casino you choose. We’ll help make that first choice an informed one. Keep reading and we’ll teach you the basics of Canadian mobile casinos.